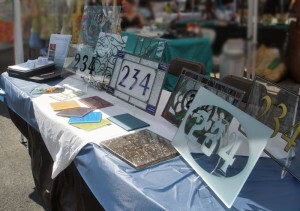 Classic Glass is proud to announce that we will be exhibiting our work at Eastern Market on Capitol Hill throughout the upcoming summer months. We will be showcasing its decorative glass art such as stained glass transoms and kitchen back-splashes for both home and office applications. Feel free to stop by and say hello as we would be happy to discuss the details of your next project. Our next appearance will be on Sunday June 28th 10am – 5pm. Hope to see you there! This entry was posted on Monday, June 15th, 2009 at 8:09 am	and is filed under Decorative Glass. You can follow any responses to this entry through the RSS 2.0 feed.Both comments and pings are currently closed.